The payroll process refers to the steps required to pay employees each pay period and involves employees’ hours worked, their pay rate, and deductions. Processing payroll ensures employees are paid based on their employment status and other Department of Labor (DOL) requirements. We’ll cover the basics of payroll processing to help ensure your employees are paid correctly. You can reduce the risk of expensive legal penalties by using Gusto, an all-in-one payroll and HR software. Gusto’s payroll software provides payroll and labor law compliance in all 50 US states, and makes it easy to properly manage PTO in addition to regular pay. Try it free for 30 days. Disclaimer: Fit Small Business does not provide legal or tax advice to our readers. If you have questions about legal requirements or payroll tax status in your business location, please seek the advice of a labor law attorney or payroll vendor. The payroll process starts after you hire your first employee. Each pay period, employees work and must be paid based on their hours and pay rate. However, before giving the employee a paycheck, you need to process deductions such as state and federal taxes, unemployment, and insurance, as examples. The result is net pay, provided to the employee in a paycheck, direct deposit or other method such as a payroll card. Some U.S. states require that you document the payment information, including hours worked, earnings and deductions on an employee pay stub. 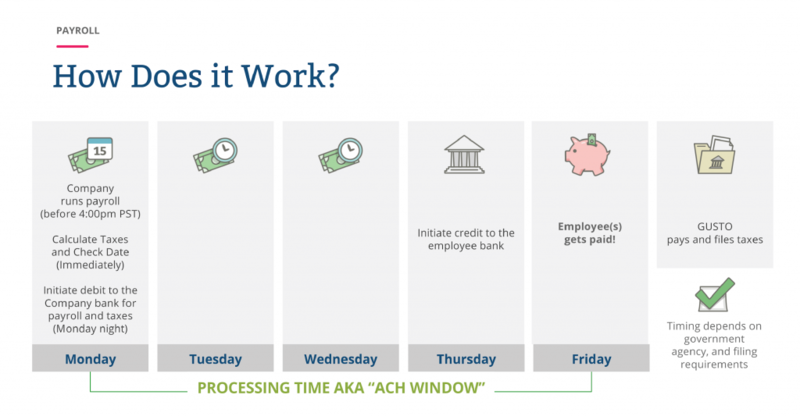 Take a look at the simple payroll process flow shown below. How long it takes to process payroll depends on the way you process it. Some small businesses manually track employee hours and earnings on a spreadsheet. That’s both time-consuming and likely to produce errors. Others use free software or an online payroll calculator. For example, if all your processing is done manually, it may take you a day or so to process payroll for just a few employees. That’s because you have to add up timecards, calculate pay and overtime and process deductions manually. You also have to set aside taxes that have been deducted for each employee, so they can be paid. Therefore, we recommend using payroll software or a payroll service to ensure that your payroll is processed quickly and correctly based on federal, state and local laws. Read our article on best payroll services to choose which works best for you and save yourself hours of manual work each pay cycle. 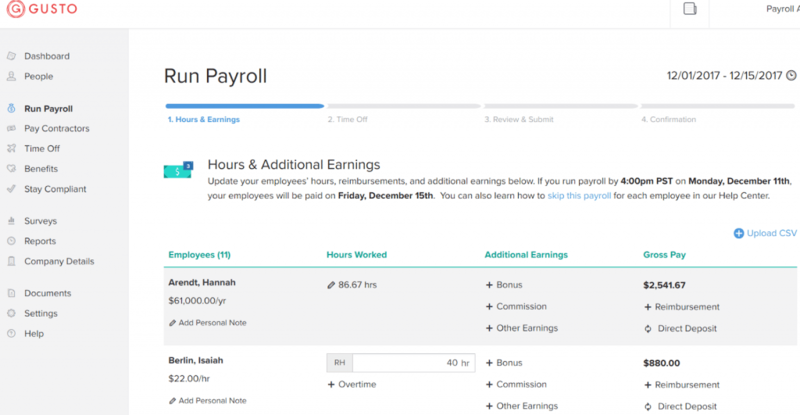 Here’s an example of how the payroll process might work using payroll software. Some payroll software, like Gusto, is able to import your timekeeping data, process payroll in minutes, and then provide ACH payments as well as pay and file all taxes for you. Click here to try it free for 30 days. There are three basic steps to processing payroll each pay period: collecting employee time, calculating their resulting earnings, and paying them. We’ll provide detail on all three, including how to do the overtime and deductions calculations. Net pay is the end result of your payroll process. The time it takes to process payroll can vary from minutes to days, depending on what system you use for each of the three steps. If you do payroll manually, of course, it will take longer. To process the correct payroll information, you have to start by collecting each employee’s time worked in the pay period. Most employers use a timesheet, time clock, timekeeping system or scheduling system to capture employee time on paper timecards or electronically. If you’re doing this manually, you may need to spend 15 to 20 minutes adding up time on each employee’s timecard to determine the hours they worked over the time period—such as one week, 15 days, etc. That may take you several hours or a full day if you have more than a handful of employees. So if you want employees to receive their paycheck on a Friday, you may need to start adding up their timecards as early as Monday or Tuesday for the prior pay period. We recommend Homebase as a free timekeeping system that allows employees to clock-in from their cell phone. The timecard data from Homebase can be passed electronically to your payroll system, such as Gusto, saving hours of your time each pay period. Input the data (hours worked) into your payroll system or upload it electronically. The process to calculate paychecks will be the same whether you do payroll manually or use a payroll system. 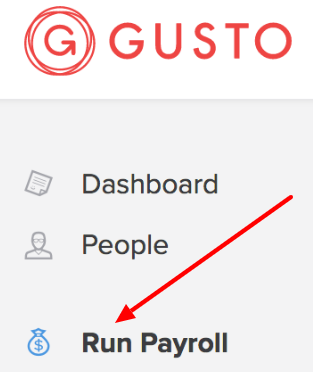 If you’re using payroll software like Gusto, these steps may all be captured in a “run payroll” option or button. The exact steps, keystrokes or calculations depend on the software you’re using. Count the Hours – Verify hours worked against the timecard data to make sure you’re paying each employee for the correct number of hours worked in the pay cycle. Each payroll system will have a different way to verify this data. Some, like Gusto, shown below allow you to make data changes on the fly, such as if a manager makes a correction to an employee’s timecard. Determine Overtime – If you’re doing this manually, you’ll have to watch for any employees who worked over 40 hours a week, and pay overtime (time and a half) for those hours. Most payroll systems do this automatically, and even account for payroll rules that vary by state, such as California, which calculates overtime by day (over eight hours in a day), rather than by week or pay period. Calculate Gross Pay – Multiply the pay rate times the hours worked to come up with the gross pay. If you have more than one employee, this becomes a time-consuming activity. You’ll need to ensure you use the employee’s regular or straight time pay rate for regular hours, and overtime pay rate for overtime hours. Then add those two kinds of pay (regular and overtime) together to come up with the total gross pay. If you’re using a payroll system, you may be able to accomplish this calculation by pressing a button to calculate employee’s gross pay. Take Deductions – If you’re processing payroll manually, you have to determine the deductions such as benefits, taxes, and insurance that need to be taken out of the employee’s gross pay each pay period. However, if you’re using a payroll system, you simply need to verify that the correct deductions are set up—once. Usually, that requires a quick look over each person’s gross and net pay to make sure nothing stands out as a mistake, such as extra zeros, or an employee missing tax deductions. For more specific detail on processing deductions, read our article on how to do payroll accounting. Calculate Net Pay – Using an online payroll system, your net pay will be calculated for you. If you’re doing it with a spreadsheet or manually, you would need to take the gross pay, subtract the deductions, and come up with the net pay as a result. You do this for every employee in order to know what to pay each. We recommend Gusto as best payroll software for small business because they are able to streamline the payroll process for you down to a few minutes per pay cycle. Gusto provides a free 30-day trial, and their prices start at $45 a month to process legally-compliant payroll for one employee. Employee payment methods can be cash, payroll check, direct deposit or debit card. Some states allow some, but not all, of these payment options. In addition, many have state laws that require you to provide employees with a printed pay stub. Once you process payroll, you’ll want to either write paychecks or forward employee payment information to the bank for direct deposit. Of course, your payroll account has to be funded. How long this takes depends on whether you’re using software or doing the work manually. For example, ACH transfers from your business bank account to your employees’ direct deposit accounts may take one to three business days. Using Gusto, your employees will not only receive direct deposit in two days after you “process payroll,” but they’ll be able to view their pay stubs, pay history, and year-end W-2 and 1099 payroll tax documents online, saving you valuable time. There are no federal laws that dictate what payroll records must be retained. However, there are requirements for what payroll information needs to be retained, such as full employee name, W-4 tax withholdings, full mailing address, and more. Most employers keep copies of the employee’s pay stub for this purpose after running the payroll process. For more on payroll record retention guidelines read our article titled, Payroll Records: What to Keep & How Long to Keep Them. As far as the timing of your payroll processing goes, it varies by state. For example, some states allow monthly pay cycles, while others require non-exempt employees (who are paid overtime) to be paid weekly. In addition, some states require a pay check to be provided immediately upon termination, requiring you to run an off-cycle payroll. We’ve provided a table below to assist you in determining your payroll processing time frames, along with state-by-state payroll information and due dates. The link on each state name below takes you to that state’s wage and hour page for more information. *Minimum wage increases are scheduled. Sources of data used in this chart: Pay periods, Overtime, Final paycheck, Minimum wage. The risks of running payroll are many, which is why it’s best to leave payroll processing to the pros in terms of a payroll service or software. Here are some of the more common risks you may want to be aware of and avoid—from failing to calculate overtime properly to misclassifying an employee in the first place. Overtime Miscalculations – Make sure overtime is calculated correctly for the state the employee works in. Your business office may be in Arizona, but if your employee works out of an office in California, you have to calculate and pay overtime using California’s stricter rules. It only takes one employee complaint to trigger a payroll audit—and potential fines. Retro Pay – Mistakes happen. If you fail to pay an employee properly this pay period (incorrect hours, missed bonus payment, forgot a pay raise), process retro pay immediately—no later than the next payroll cycle. Document what you did, just in case. Misclassification of Employee – Don’t guess at the employee classification. Identifying an exempt employee as non-exempt, or paying an employee as a 1099 contractor, can land you in hot water with the local department of labor. If you don’t know, ask your HR or payroll consultant. Failure to Document Required Pay Stub Information – This is only a risk if you’re in a state that requires a pay stub be given to employees. Most states specify exactly what is required to be printed on the pay stub. 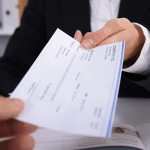 Not Providing Final Paycheck on Time – This is a common mistake in states that require you give your employee a final check immediately if you fire them. In those states, you can’t wait until the next payroll cycle. Refer to the table above for state-by-state requirements on final paychecks. Not Managing Payroll Records Properly – There are two sides to this risk. One is that you must protect confidential employee information, like employee Social Security numbers and I-9 docs. On the other hand, you must retain certain information by law, and those laws vary at the state and federal level. Refer to our payroll records retention article for details. Payroll Audit – A payroll audit is a risk (and a huge headache). Any mistake that is reported to your labor board by an employee could result in an audit. A complaint like, “They didn’t give me my final check!” could result in a full payroll audit that uncovers other innocent errors, back pay and penalties. These risks within the payroll process are why many small businesses choose to outsource their payroll or even use a free payroll software provider. We recommend Gusto as best for small business. It has the added benefit of interfacing with free timekeeping software, Homebase, to make the entire payroll process faster and more accurate. Below are some common questions you may have while running your payroll process. What if I Made a Mistake on an Employee’s Paycheck after Processing Payroll? In most cases, if you make a mistake on an employee’s paycheck, you can fix it on the next pay cycle using what’s called retro pay. However, some states require you cut the employee a check immediately if you owe them money. Refer to our article on retro pay for more information. What About Paying Terminated Employees? This varies by state. At the federal level, you’re required to pay a terminated employee by the end of the next pay period. However, some states like Minnesota, Missouri and Nevada require immediate payment upon termination if the employee was fired. Other states require terminated employees to be paid in time frames starting from the same day, up to 30 days (or the next pay period), whichever is sooner. Refer to the table above for what’s required for final paychecks in your state. 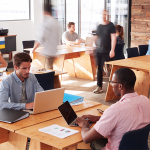 One of your expectations as an employer is to make state, federal and local tax and other payments to agencies such as Social Security, unemployment insurance, and workers compensation, on behalf of your employees. You can do this with accounting software like QuickBooks. However, most payroll software, including Gusto, also does this for you. If you’re doing payroll manually, you’ll need to plan to pay the taxes calculated and deducted from employees’ paychecks each quarter or more frequently, depending on the size of your payroll. At year-end, you’re required to report those payments on an employee’s W-2. Here’s an article for reference on making payroll tax payments, How to Do Payroll Accounting. While the payroll process itself is pretty basic—count how many hours employees work and pay them for those hours—the labor laws affecting payroll are complex and vary by state, and at times, by city. Therefore, we recommend business owners find a payroll provider that can manage those complexities, link to tax tables and ensure labor law compliance. A good payroll provider frees a business owner to focus on what they do best—manage their business. 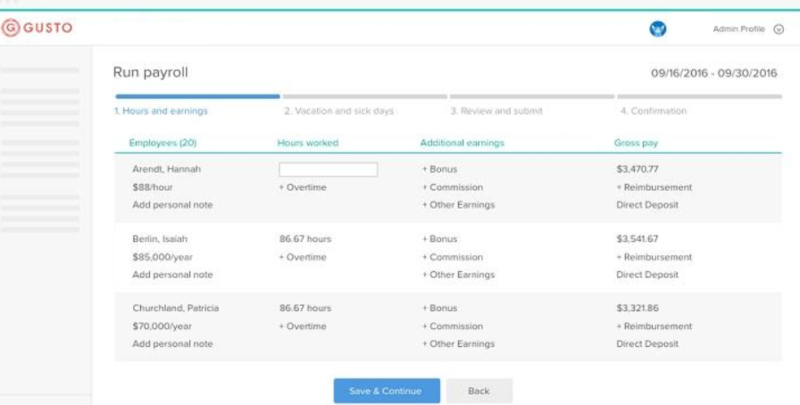 Gusto simplifies payroll processing by having all the state and local tax tables, pay period and overtime rules built into their payroll system. Pricing starts at only $45 per month and they offer a free 30-day trial.